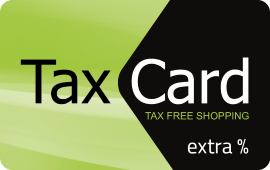 All merchants are invited to partner with Tax Card Company to serve foreign shoppers that wish to claim VAT refund for their purchases made in merchant shops. Collaborating with Tax Card Company will give merchants the possibility to use Tax Cards to stimulate customer spending and loyalty. New and up-to date technologies will allow service tourists at Your shop effectively. Shoppers will not have to wait at long rows and they will positively evaluate convenient shopping experience that you offer, which will result in customers coming back to you again. 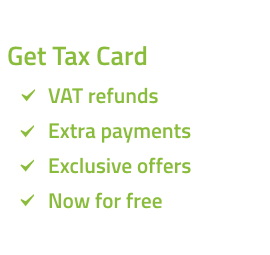 This is a great opportunity to attract new and gain loyal customers, the ones that search for the best conditions for Tax Free shopping services. Please contact our management department to discuss collaboration alternatives.